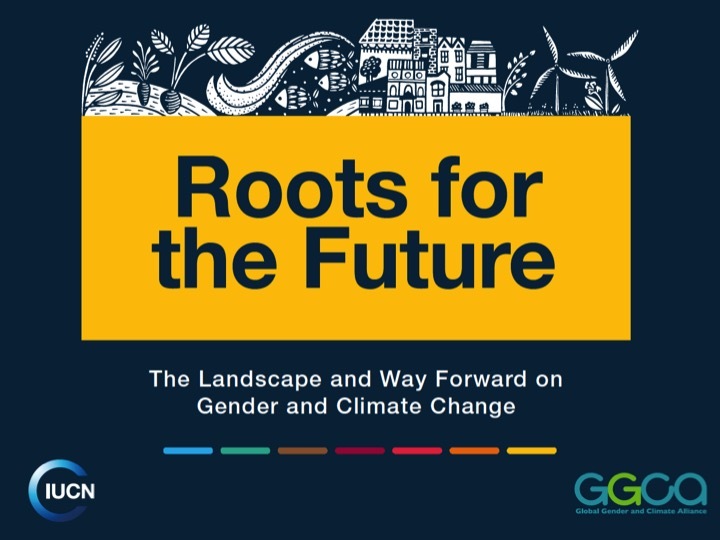 Produced under the auspices of the Global Gender and Climate Alliance (GGCA), and in collaboration with a wide range of authors and reviewers, including members and allies of the GGCA, Roots for the Future provides an expansive look across the sectors most critically linked to gender and climate change and proposes key recommendations for the way forward. It features case studies from GGCA members’ work, as well as other best practices such as those celebrated by the Momentum for Change: Women for Results initiative of the United Nations Framework Convention on Climate Change (UNFCCC). Roots for the Future was inspired by and updates the core content of the 2008 Gender and Climate Change Training Manual, which at the time was one of the first publications of its kind and was subsequently downloaded tens of thousands of times and used in hundreds of trainings. Not a training manual, per se, Roots for the Future still provides an array of simple, step-by-step guidance on gender mainstreaming and gender-responsive approaches to climate change decision-making, planning and projects at all levels. or go directly to the section below that interests you most. GGO welcomes your feedback; send us comments here.